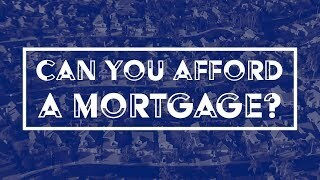 Have you ever wondered whether you can afford to buy a house? If so, you are not alone. Consider the following questions. First, here are the five rules to remember before asking for a pre-approval. 5 RULES to Remember for Pre-Approval. 1. The bank doesn’t know what you can afford. We only know what certain guidelines assume you can afford, based upon how much money you make and cash you have saved. 2. How much you can afford is based on your income and monthly debts. Income: Your income may be made up of several forms. Some of those are not verifiable (does the IRS know about your side hustle??) or reasonably guaranteed to continue. We can acknowledge them, but they are unable to be counted towards your monthly income. For example: your friend who gives you money for staying in the spare bedroom; Generally this is not going to be something that can help (it won’t hurt!) your loan standing. Debts: The debts we look at are usually loan debt, court dictated liabilities, and tax debt. Your cell phone, gas bill, and monthly trip to the casino/ fun night are generally not looked at. 3. There is generally not an absolute dollar amount that the bank can tell you is ‘your limit’. Borrowing money on a home carries variables that change from house-to-house. Property tax, Home/ hazard insurance, Home Owner Association Dues, and Mortgage Insurance costs vary. And with varying costs, we have to make educated assessments of what they may be when pre-approving you. Most aspects of home lending are not black and white. Most of them come with shades of grey. Your income expense ratio has guidelines that may be overruled with other features of your application and scenario. 5 QUESTIONS to Answer for Affordability. 1. How much is your ideal house payment? What are you comfortable paying in “rent” each month? 2. What is the absolute most you are willing to spend each month? This combines the payment, or “rent”, with other expenses like insurance, taxes, and utilities. 3. How much cash do you want to use towards buying your house? This means liquid cash available now, for things like down payment, closing costs, incidentals, inspections, and moving costs. 4. What is the absolute most money you are willing to contribute? How far are you willing to go for your dream home? Considering this the “truth test” for #3. 5. How long do you plan on owning this home? You may or may not have an answer to this question. The average hovers around 7 years, so make an educated guess. At Benchmark, we use these answers to work your budget backwards in order to determine what you are willing to afford. We will cross check what you want with your income and debts to determine your maximum home sale price. Why go through all this trouble? Remember, the bank is in business to make money. We can usually approve you for more than you want to budget for each month. That is why it is important for you to establish your budget so you are happy and financially comfortable in your new home. This article was contributed by Nick Ellis, CMC, CRMS | NMLS #10490, Benchmark Mortgage Branch Manager in Louisville, KY. This article has been edited and formatted by Jason Haeger before publishing.